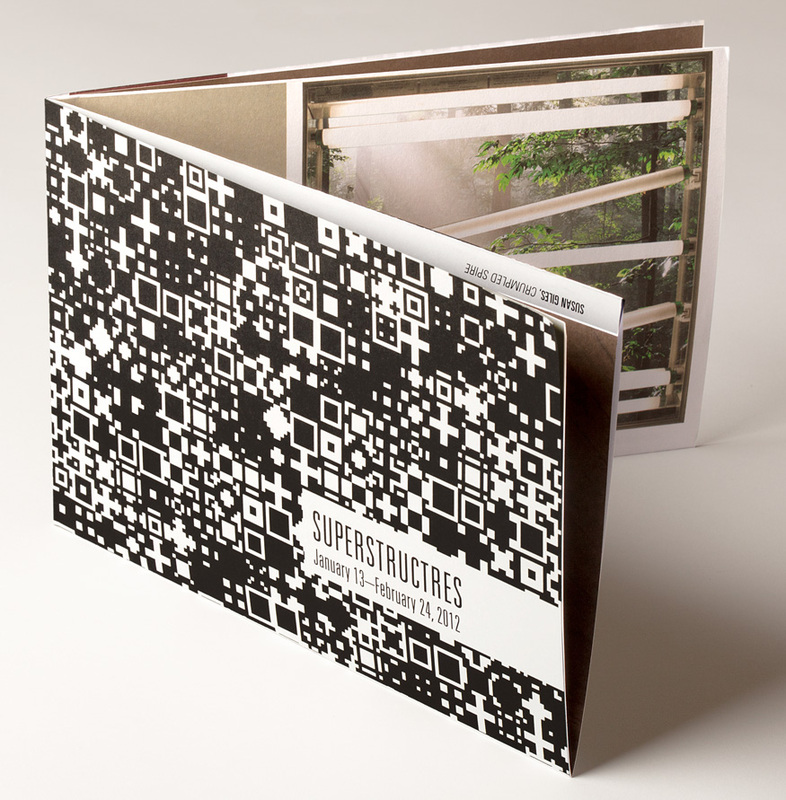 SUPERSTRUCTURES brings together three artists who deconstruct the belief systems inherent in our built environment. Artworks by Susan Giles, Jeroen Nelemans, and David Salkin disorder the cultural conventions that guide our visual experience of cities, buildings, and nature. Susan Giles’ colossal site-specific sculpture envisions the unbuilt Chicago Spire as a collapsed scaffold, like a broken enterprise. Jeroen Nelemans questions the tradition of landscape art by manipulating so-called ‘beautiful’ found photographs of nature using post-production imaging effects. David Salkin exhibits drawings of improvisational mapping systems that are inspired by the structure and impulses of human behavior. The three artists critique three iconic components of Chicago’s public face: the city’s progressive architecture (Giles), its meticulous landscaping (Nelemans), and its rational urban plan (Salkin). Chicago’s lakefront was almost home to the tallest building in the Western Hemisphere. Dubbed “The Chicago Spire,” the design by famed architect Santiago Calatrava twisted upwards like a drill bit into the sky, but the massive project was killed in 2008, a casualty of economic recession. Now, Susan Giles harnesses the experimental form and symbolic weight of Calatrava’s Spire in an installation titled Crumpled Spire. Here, inside the gallery, just three miles west of the Spire’s proposed location, Calatrava’s would-be structure sprouts and collapses beneath the gallery’s ceiling. In Chicago, a city that stakes much of its cultural identity on skyscrapers, the Spire, though unbuilt, is already an icon. Giles’ sculpture serves as a monument to interrupted dreams. Jeroen Nelemans renews the tradition of Dutch landscape painting through digital technologies. Titled The more I see the less I grasp, Nelemans’ series of eight photographs presented on lightboxes considers nature as a constructed fantasy. Here, nature is a stage set, complete with lighting effects and a structural framework. To create these layered images, Nelemans photographed each lightboxes’ innards, and using green-screen technology during post-production, he inserted found photographs of sunlight streaming through a forest’s canopy. Finally, the commingled image of the lightboxes’ inner bulbs and the sunny forest are presented on the lightbox, illuminated from within. In this presentation, Nelemans reveals that a picturesque image, so often taken for granted as ‘natural,’ cannot be separated from the mechanism of its creation.